The Travel Case is built with custom-fit die cut compartments that hold parts securely and it even includes extra storage space. Made of High Density Polyethylene, the Case is practically indestructible and weighs 34 lbs. (15.4 kgs.) 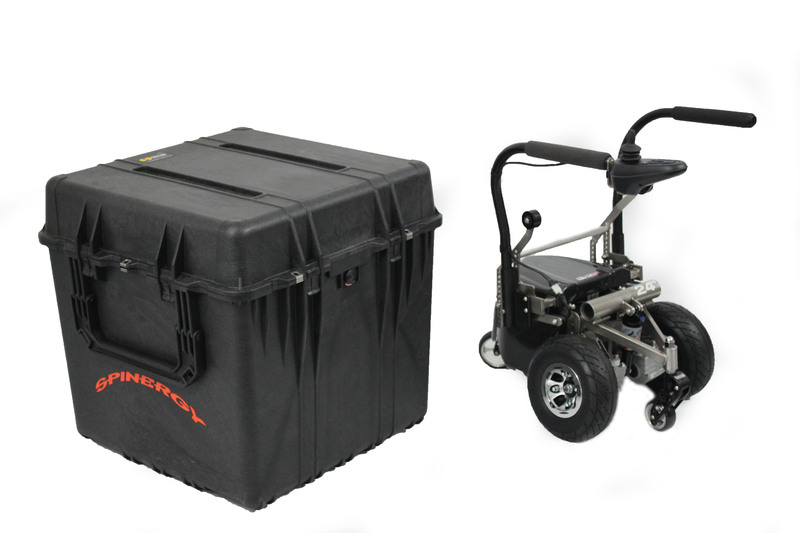 An optional Wheel Caster Kit is available so that the Case can be easily rolled across surfaces. 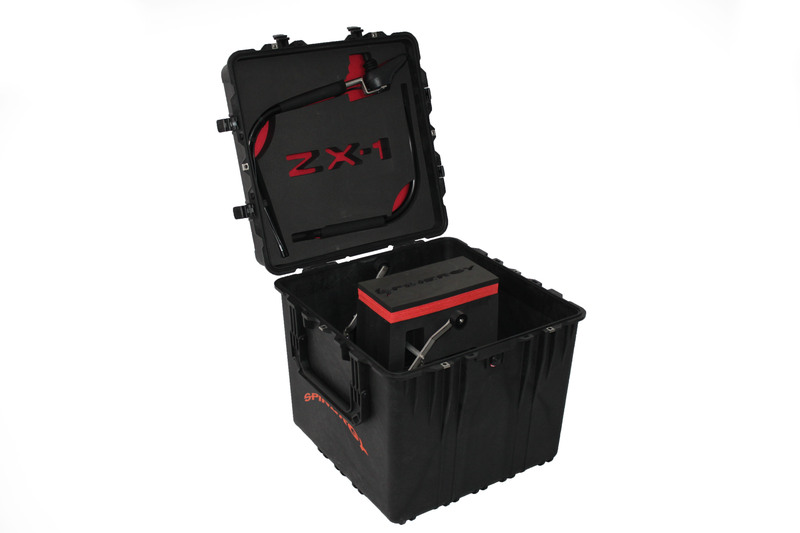 Our military-grade Travel Case is the perfect storage and transport solution for the ZX-1 Power Add-On. For frequent travelers, for re-locations, or for short or long term storage, the travel case offers the ultimate damage-control and protection. Traditional power chairs inevitably get damaged during air travel due to their large size and loading difficult. 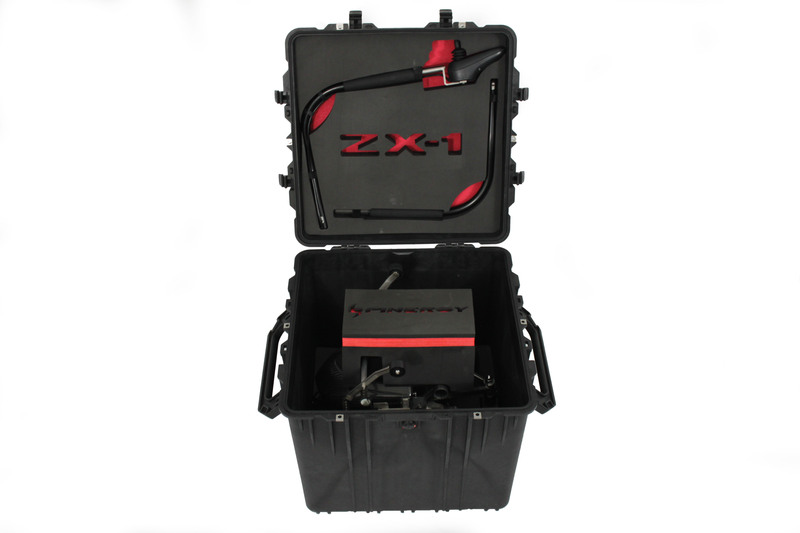 But the ZX-1 fits snugly into the Travel Case which allows airline personnel to load the equipment onto an airplane effectively, eliminating the risk of both expensive and disastrous consequences. Go anywhere stress and hassle-free. 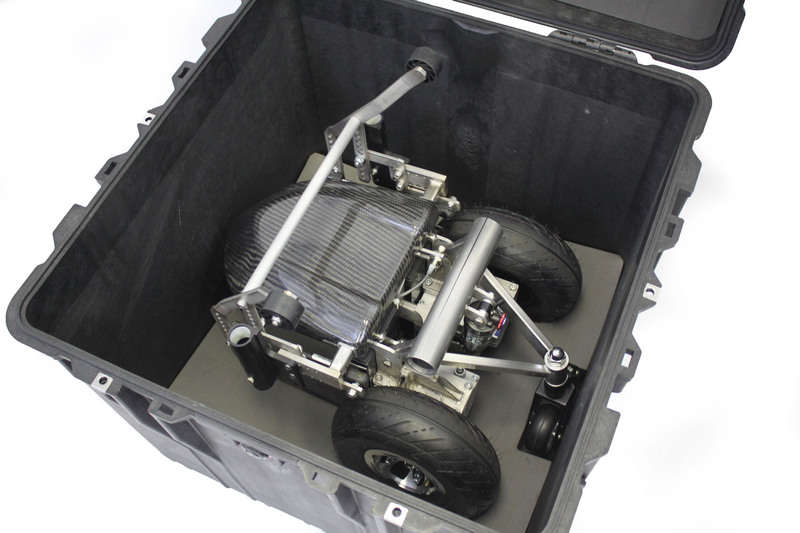 Please inquire if you would like to order your ZX-1 with the Travel Case and have the ZX-1 shipped to you inside the case.